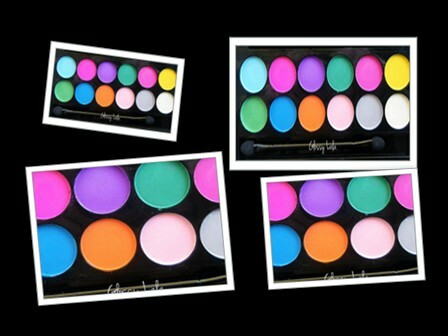 Sleek Ultra Mattes Brights Palette - Be Glossy In and Out! As you know, I am obsessed with Sleek, in my opinion it has some of the best eye shadows which are on the market. I adore the colours of the new palette, I already fell in love with 3 shadows: Pout, Cricket and Bolt but I love the others also. I can`t say much about Sleek, you already know my opinion about it from my previous posts. The colours are very pigmented and slightly creamy, the shadows are unique, every color is different from the other palettes. I can,t wait to use all those colors in make ups. My final conclusion: I love the Sleek Ultra Mattes Brights Palette. I'm already follwing u via gfc! Wow. Pretty colors. These are great for summer. Thank you for the message. I will follow you. Multumesc. Thanks for your comments. i will follow you. Multumesc. That palette looks SO great! :) I'd love to have colorful eyeshadows but I'm stuck to the "boring" ones haha :D I'm now following you via GFC and on Bloglovin' too<3 Hope you'll have a lovely day! The pigment of the shadows are great. I look forward to reading future posts. Your blog is great! Wow, it looks like these have really great saturation. They would be so fun as eyeliners!! Great colors! So summery chic! thanks for follow me, follow you bak dear! Thanks so much for your lovely comment on my last post: of course we can follow each other!!! I'm your newest follower via GFC and Bloglovin, now it's your turn! Nice colours! I also follow you on Bloglovin. thanks for stopping by! sure! let me know when you have follow so I can follow back! Thank you for your lovely comment! I'm following, hope you follow back! Mi-a facut placere sa citesc in Romana, ceea ce nu am facut demult! so perfect for the summer! do you want to follow each other (on bloglovin' and google friends connect)? let me know!and see you around! 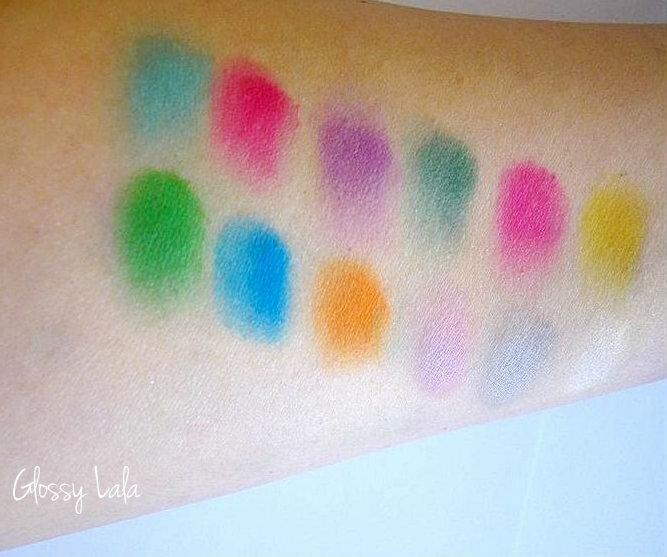 I'm used to using cooler toned eyeshadows, but wow I really want to try these great vibrant colours now! Lovely post! Thanks for visiting my blog :) I'd love to follow you! Thanks hun, I followed back! Thanks Anna, I have 3 Sleek palettes. You can check previous posts with them also!! Well try one time something stronger, you never know, it might like you so much:)) Thanks, I followed back!! Yes follow each other! I follow you with gfc already! Now following you with bloglovin too (n.42). Do the same dear follow me with GFC and Bloglovin! Those are some pretty daring colours! There great for summer though, summer is supposed to be fun. Your colour are very pigmented. Thank you for your nice comment and for following, I am following back on google friend connect and also following you on Bloglovin (n. 43) and Facebook, please do the same ! Maybe we could follow each other? It would be such an honor! oh I loooooove this palette! I wish I could have one as well! Thanks sweety!! I followed you back, great blog!! Thanks hun, original blog you have!! I followed you back!! Yes they are great and good quality!! I want to get this palette so bad, but too bad they don't ship to Canada :( Anyways, I really like your blog, would you like follow each other? I would like to follow you but please give me the link of you blog. hey, i followed you via gfc and bloglovin too..maybe it's a mistake? Culorile sunt absolut superbe, perfecte pentru un machiaj de vara! Pupici. Wow, Wonderful colors!! Thanks for visit my blog and follow me , Of course I'm following you back now on GFC! so nice!what about follow each other???kisses! Thank you for the message !!! Your blog is amazing!!! I follow you!!! Thankyou so for your comment! I'm happy with that, girl! Ok hun!! Thanks 4 letting me know!! Thanks, I like yours also!! Followed back!! Thanks, I followe you back!!! Da ia-ti una, chiar merita!! :) O sa ma inscriu si eu, dar nu specifici daca e international concursul:)) Sper sa fie, heheheh. Oh I need this palette! These are such fun colors. Perfect for the color trend that is going on right now! I am loving that bright yellow! omgosh!! this is gorgeous! i love bright colors too! looks like you have a lot of super cute posts. think im going to get lost on your blog its so cute!! Thanks for your comment. You have a great blog. Of course, would love to follow each other. I'm following now. Hope you follow back! This palette looks amazing. It's so rare to be able to find bright colours in matte texture. The colours are all so pretty and pigmented too!! Thank you for the nice comment. Following each other would make me happy. Thanks, I followed back!! Your blog is great also!! Love your blog, really!!! Keep up the good work!! Ohh yeah, I followed you!! Great colours and a nice blog!